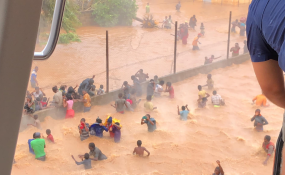 The U.N. children’s fund reports nearly half of the 1.7 million people affected by Cyclone Idai in southern Africa are children. The official number of deaths across the region has now risen to over 700. But this figure is expected to increase once the waters have receded and the bodies of those who have drowned and gone missing are found. “Without safe and effective water, sanitation and hygiene services, children are at high risk of preventable diseases including diarrhea, typhoid and cholera, and also increasingly vulnerable to malnutrition,” he said.